I wanted to make sure I capture this picture of the groom with his sword. 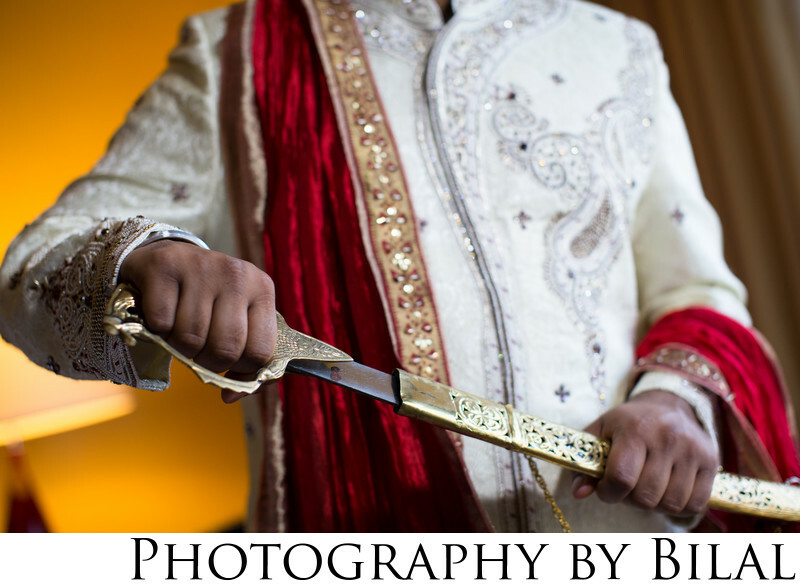 You normally don't see swords in wedding photography, but the sword is an important detial in a Sikh wedding. This was shot at in Indian wedding in north NJ. Keywords: indian wedding (51), NJ indian wedding photographer (48), NJ punjabi wedding photographer (45), NJ sikh photographer (45), NJ wedding (63), nj wedding photographer (81), punjabi wedding (45), royal palace wedding (45), Sikh wedding (45).